Cavirin provides overall visibility, securing both workloads and cloud services, across any infrastructure, anywhere. 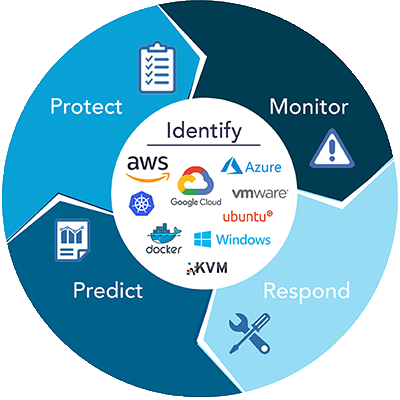 This continuous protection, monitoring, and remediation, across your entire infrastructure, automates compliance and secures your organization from possible cyber attacks so you can comfortably move workloads to the cloud. 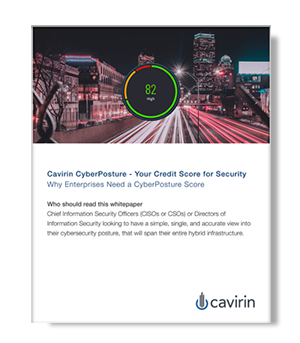 Further, our patent-pending machine learning, powering Cavirin CyberPosture Intelligence, provides you the most accurate credit-like scoring view of your cybersecurity posture so you can make informative decisions to protect your organization. The Cavirin solution delivers the broadest horizontal coverage in the industry, deployable on-premise, within AWS, Google Cloud, and Azure, and will shortly be available as a SaaS offering. Our up-to-the-minute compliance and risk analysis supplies audit-ready evidence to comply with every major regulatory and security best practice framework and guidelines (including CIS, NIST, DISA, GDPR, SOC, PCI, and HIPAA). Plus, our customizable policy framework provides flexibility for enterprises so you can craft your own combinations of benchmarks and set risk levels, to accommodate your compliance and security requirements. Cloud deployments move too quickly to rely on manual processes for compliance assessments. Cavirin automates these processes, across complex hybrid infrastructures and against the broadest set of frameworks (NIST, DISA, etc. ), benchmarks (CIS OS, cloud, and Docker), and guidelines (SOC, ISO, GDPR, PCI, HIPAA). By automating compliance, organizations are increasing their operational efficiency and saving hundreds of man-hours previously dedicated to manual processes. Managing your organization's hybrid cloud vulnerabilities can be a manual and disjointed process, as you piecemeal together the data from various IT and compliance tools. Cavirin’s centralized solution, easily integrates with your organization’s IT software, allowing you to discover and manage all your resources through a single, unified view that includes machine learning CyberPosture scoring and the ability to drill down to further assess and manage the security risks across all your clouds. Data security, compliance, and cloud-provider lock-in are why companies hesitate to move to the cloud. Cavirin not only addresses the requirements in the shared responsibility model but augments the security capabilities provided by the top public cloud providers (AWS, Google Cloud, and Azure). We continually assess and monitor your critical workloads and cloud services, informing you of any gaps in your cybersecurity posture so you may take immediate remediation action. Insight into the most complex hybrid infrastructures through a single, unified view that includes CyberPosture scoring and the ability to drill down to further assess and manage the risk coming from asset groups, individual resources and policy control families and operating systems. Continually assessing the security posture of all managed cloud services and workloads to compute a number between 0 and 100, facilitating prioritized response plans, so you can make informative decisions when protecting your organization against cyber threats. Provides auto-remediation, leveraging cloud functions and Ansible, closing the gap between monitoring and change management, permitting quicker resolution of security gaps. Mitigate risk across AWS, Google Cloud, Microsoft Azure, and container deployments through a platform that spans the hybrid cloud to limit the exposure of software vulnerabilities. 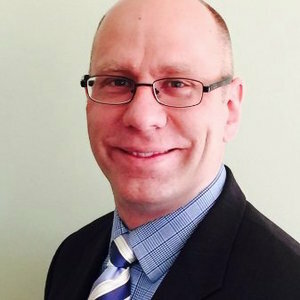 Automate compliance using the broadest set of frameworks (NIST, DISA, etc. ), benchmarks (CIS OS, cloud, and Docker), and guidelines (SOC, ISO, GDPR, PCI, HIPAA) across OSs and networks. Deploy on-premise, SaaS, or within the cloud. A powerful ‘hybrid-group’ function allows selection and analysis of workloads spanning on-premise and multiple cloud operators, creating a true end-to-end, unified view of the security posture with first assessments in under an hour. 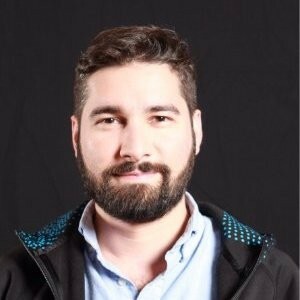 A differentiator of the Cavirin platform is a wizard-based approach to OS hardening, shortening the time and effort required to connect to existing systems, making servers stronger and more resistant to security issues and attacks. To complement existing business and cybersecurity operations by adopting policy frameworks and cloud services assessment to an organization’s requirements, via a powerful scripting language to author organization-specific controls. Cavirin's CyberPosture Intelligence facilitates interfacing to third-party platforms, such as access management, identity management, vulnerability assessment, logging, notification, and others. Pre-built integrations include Slack, PagerDuty, ServiceNow, Jira, and the Google Cloud Security Command Center streamlining security processes. "Our deployments across AWS and GCP are a good match for the hybrid cloud capabilities of the Cavirin platform. Their support for frameworks and regulations including ISO and SOC2 will help us maintain continuous compliance across our cloud deployments." "Cavirin’s support for Azure will permit us to address both aspects of cloud security – the security posture of the cloud itself, as well as the individual workloads. Their vision of a CISO dashboard extending across the hybrid infrastructure is where we see the market going, and will help us deliver a more comprehensive and competitive service." "We are deploying the Cavirin platform to help ensure compliance with government regulations, given our organization’s focus. In addition, Cavirin’s open architecture and container support permit us to easily integrate its capabilities with our DevOps environment." 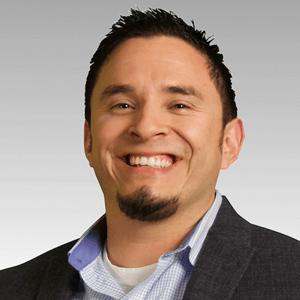 Ernesto Ruy Sanchez, DevOps Manager, Human Longevity, Inc.
Cavirin's CyberPosture Intelligence employs a pragmatic methodology to automate a workload-centric approach for the hybrid cloud.